Showing results by author "Agostino Von Hassell"
He was a harsh taskmaster who comforted dying soldiers and quietly commended their valor. A crusty, often foulmouthed commander who wrote tender letters home to the love of his life. 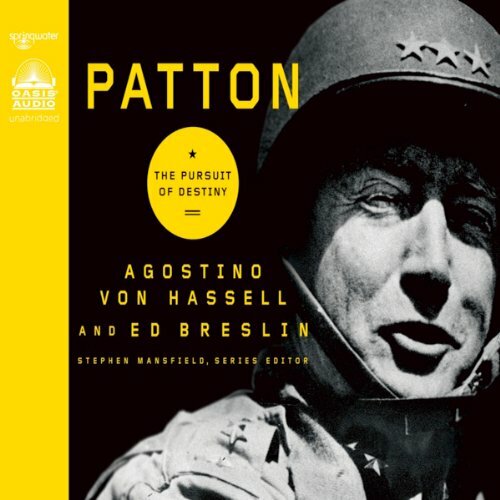 Gen. George S. Patton Jr. comes to life in this audio as one of the most colorful, enigmatic, and unfairly maligned leaders in U.S. military history. Often caricatured - as in the big-screen biopic, Patton - the general was a complex blend of battle-tested strengths and nearly fatal personal flaws. Weak bio filled with hyperbole and repetition.